Simon Rees, blogging at Historical Eye, dedicates his World War I posts to his great-grandfather Alf Adams, who was a machine gunner and was killed in 1917 in the Gavrelle-Oppy sector, near Vimy. Before the war, Adams had a record company that produced 78 r.p.m. records. 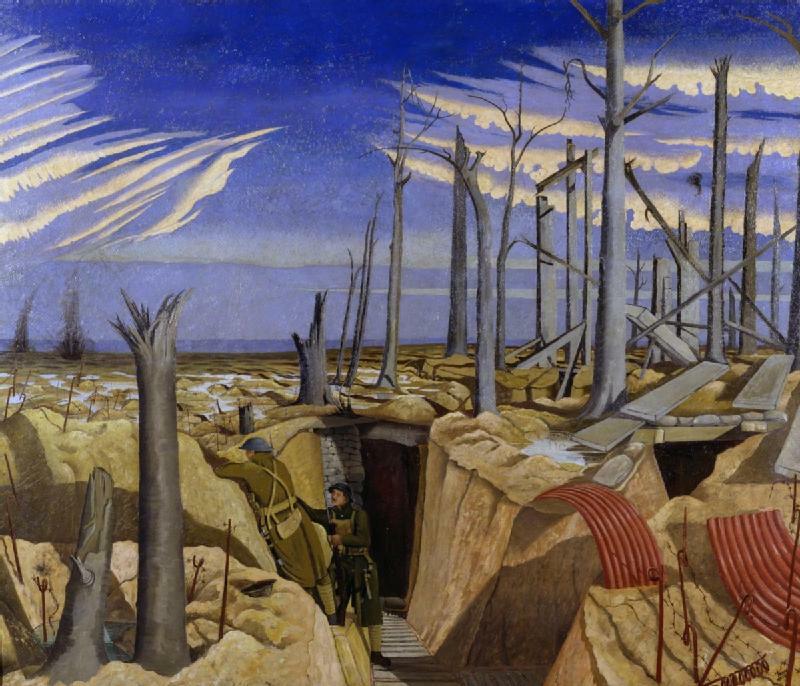 “Oppy Wood, 1917,” by John Nash. Imperial War Museum. This entry was posted in Britsh, Canadians and tagged music by World War One Historical Assn. Bookmark the permalink.